The busy bees at Acer have announced yet another batch of laptops to add to its burgeoning line-up – the all-new Aspire TimelineX Series. Equipped with second-gen Intel Core I chips, the updated Aspire TimelineX Series offers a massive boost in battery life (Acer is quoting 10 hours), up to 750 GB of hard disk space and an ultra-thin design. 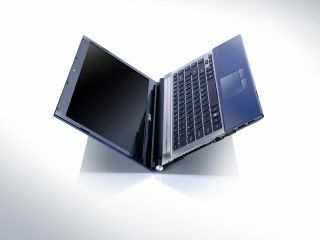 Acer is offering up a number of screen sizes, with the smallest model, the 3830T, housing a 13.3-inch screen. The 4830T has a 14-inch screen and the 5830T has a 15.6-inch screen. If you don't want a hard drive, then Acer can swap this out for SSD and sound comes courtesy of Dolby Home Theater v4. Also on board is a 1.3 MB high-definition webcam, which allows you to shoot and record 720p footage for playback. We're not sure what kind of footage you would want to record in front of a webcam, but the option is there. The Aspire TimelineX series UK release date is 1 August, with pricing and final specs to the announced.